Not all disputed workers' compensation cases need to be resolved by a judge. In some cases, it is possible for a worker to reach a voluntary agreement with an insurer. There are a number of ways to get to a voluntary agreement, but in general, it is wise not to enter into any agreements with an insurer without first consulting a Boston workers’ compensation attorney about the repercussions of choosing that avenue rather than receiving an order from an administrative judge. At Pulgini & Norton, we are familiar with this situation and can advise you on your rights and options. Both an injured employee and a workers' compensation insurer have an opportunity to start the dispute resolution process with the Department of Industrial Accidents (DIA), which administers the workers' compensation system in Massachusetts. You can start this process by filing an Employee's Claim Form 110 if your claim is denied, either fully or partially. Insurers have a separate Form 108 to file with the DIA if they want to modify or discontinue your benefits. There are several stages to the dispute resolution process. The first step is conciliation, which focuses on allowing the insurer's representative and the injured employee to reach a voluntary agreement. It is scheduled approximately two weeks after the employee or the insurer submits the form and accompanying documentation to initiate dispute resolution. A conciliator presides over the conciliation. Some cases are resolved informally through a voluntary agreement at conciliation. During this phase, the conciliator can encourage you both to come to a voluntary agreement, but he or she cannot order you to do so. Whatever benefits you are already receiving at the time of conciliation cannot be changed unless you and the insurer agree they should be. If it is not possible to get to a voluntary agreement about benefits, the conciliator refers the case to the next step: the conference. In some cases, it is possible for you and the workers' compensation insurer to agree to voluntary arbitration of your claim, but this is an unusual situation. Most of the time, when a voluntary agreement is not reached, the status of the claim stays the same, and your case is referred to the conference stage. 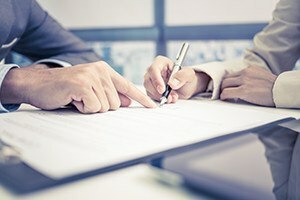 Even if a voluntary agreement cannot be reached during conciliation, you and the insurer can settle the dispute voluntarily at any time during the multiple steps of the process by using a lump sum settlement. When a lump sum settlement is made, you are paid a single lump sum payment instead of receiving weekly workers' compensation benefits. Medical and vocational rehabilitation benefits should be kept as possibilities, since it is not always clear early in the healing and recovery process the degree to which these types of benefits may eventually be necessary. If you accept a lump sum settlement, you are presumed to be incapacitated for a specific number of months under § 48(4). There is a statutory formula for this presumption, in which the settlement amount is divided by $1,500. The quotient will be the number of months that you are presumed to be incapacitated. The purpose of this section is to stop an employee from immediately seeking re-employment with the same employer after settling his or her workers' compensation case. At Pulgini & Norton, our experienced Boston workers' compensation lawyers may be able to help you reach a voluntary agreement with an insurer when this is appropriate. Our firm also advises and represents people in Andover, Weymouth, Braintree, and other cities in Massachusetts. Call our workplace accident attorneys at 781-843-2200 or contact us via our online form for a free consultation.